How old are your website visitors? Some website owners know, of course. But not knowing the age of your website visitors could present you with a problem. That’s because new research shows that as we get older we tend to use different strategies for reading. If your website is designed in a way which favours younger visitors, yet you really want to target older ones, then you will not get the results you want; they will depart from your website in the blink of an eye. Designing a website requires knowledge of your target market, of course, and their likes and dislikes. But choices over things like column width, font size and character style can all either put off or attract your target market, depending on their age. As people age we expect their vision to alter and for them to require reading glasses. However, it is not that simple. If your website is aimed at older people it is more than just the distance they sit from the screen that affects their ability to read your text. Older individuals use different reading strategies. Young people tend to use the fine details of the characters they see in order to help them interpret the text on the screen. But older people tend to use overall word shapes to read the text. This means that if you have a young visitor profile the fonts you need to use are those which accentuate the fine character differences. Whereas if your target market tends to be older, you need typography which provides well-defined word shapes. The latest research on how we read shows that older people are much more able to cope with characters which are not well defined and which tend to be more blurry. 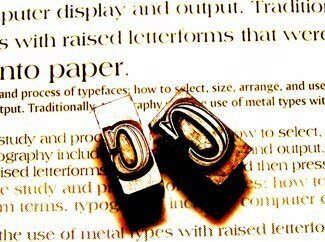 Yet younger people need fonts which are highly detailed and very well defined. Facebook, for instance, uses a font called Lucida Grande, which requires you to spot the very fine differences in characters to be able to read it quickly. The age profile of Facebook tends towards the younger end of the demographics which may well be because the font chosen is easier to read for younger people. However, if your target market is older, you will need to select a typeface which provides variable shapes to words – Lucida Grande words, for instance, are all similarly shaped with little variation. But modern fonts such as Verdana and Georgia are more “blurry” around the edges meaning they may well be more suited to an older age group. Choosing the font for your website is not just a matter of adopting the defaults, nor simply the one you like; the age of your target market is an important consideration in your font choice.